Showings Start Wednesday June 26th. Offers anytime. Nicely located ground floor unit located in the heart of Tuxedo Village. Well cared for condo with formal dining room, eat in kitchen with updated cabinets, counter tops and new flooring. Pass through in kitchen creates open and airy feeling. Nice large living room, bedroom has french doors which can be used as office or den. Oversized master bedroom with ensuite bathroom, plenty of closet space and in suite laundry. New railings and stucco on exterior. 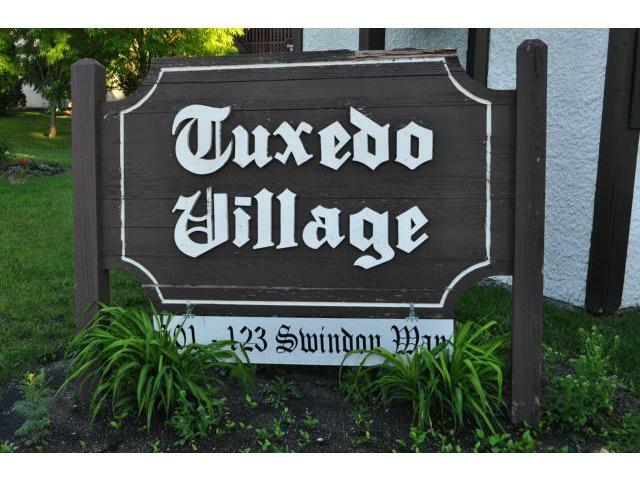 Tuxedo Village comes with recreation facility, tennis courts and pool area. Pet friendly including dogs.